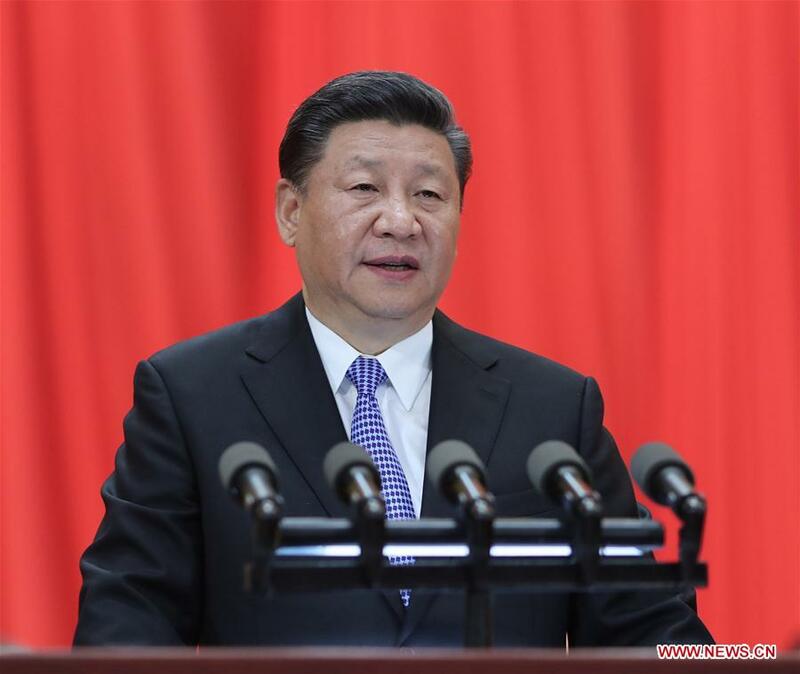 BEIJING, May 4 (Xinhua) -- Two centuries on, despite huge and profound changes in human society, the name of Karl Marx is still respected all over the world and his theory still shines with the brilliant light of truth, Chinese President Xi Jinping said Friday. Xi, also general secretary of the Communist Party of China Central Committee and chairman of the Central Military Commission, made the remarks at a grand gathering to mark the 200th anniversary of Marx's birth. Xi said Marx is the "teacher of revolution for the proletariat and working people all over the world, the main founder of Marxism, creator of Marxist parties, pathfinder for international communism and the greatest thinker of modern times." "Today, we hold this grand gathering with great veneration to mark the 200th anniversary of Marx's birth, to remember his great character and historic deeds and to review his noble spirit and brilliant thoughts," Xi said at the event. With noble ideals and no fear of difficulties and adversities, throughout his lifetime, Marx devoted himself to perseverantly striving for the liberation of humanity, scaling the peak of thoughts in his pursuit of truth, and the unremitting fight to overturn the old world and establish a new one, according to Xi. Marx is not only a great figure who shouldered the weight of the world, but also an ordinary person with passion for life, who was sincere and true to friendship, Xi said. The most valuable and influential spiritual asset that Marx left to us is the scientific theory named after him - Marxism. Like a spectacular sunrise, the theory illuminated the path of humanity's exploration of the law of history, and humanity's search for their own liberation, Xi said.